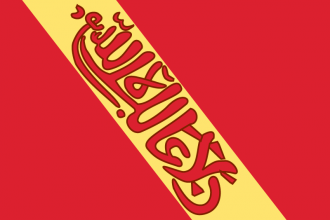 Granada is a small four province Muslim nation that starts on the southern coast of the Iberian peninsula as the remnants of the Muslim nations that once ruled most of the region. It is usually quickly conquered by its powerful northern Catholic neighbours as it is required to form Spain. With Golden Century Granada has an unique set of missions. In the name of Allah, the Most Gracious, the Most Merciful. Granada has fallen to the infidels! The last jewel of al-Andalus, a beacon of learning is now in Castilian hands. As the Islamic world reels from this loss, Moorish refugees flock to the Muslim cities and courts of North Africa and the Middle East, bringing with them knowledge, works by exceptional scholars like Abu al-Walid ibn Rushd, Abu al-Qasim al-Zahrawi and Abu Bakr ibn Tufail. Inviting these refugees to $COUNTRY$ might provide an enormous boost to our own efforts in the fields of science and culture. has its capital is in Egypt (region), Maghreb, Anatolia, Balkans, Syria or Palestine. By all means, invite them to $COUNTRY$! −10 opinion with a yearly decay of 1. +20 opinion with a yearly decay of 1. The country changes to Andalusia. 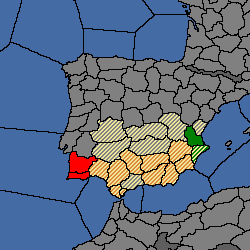 To form Andalusia, all provinces in orange must be owned and cored, as well as either both green or both red provinces. At the default start date 1444 Granada starts with this disaster looming over the country. Have a good strategy for Granada? This page was last edited on 18 February 2019, at 09:57.